So, I've never done anything very religious before, but I've decided that's the direction I want to start heading. Hopefully some of you can still find things you like or use. Because I am LDS, I started with the Book of Mormon, but I will be doing other quiet books and fun things for the Old and New Testament as well. 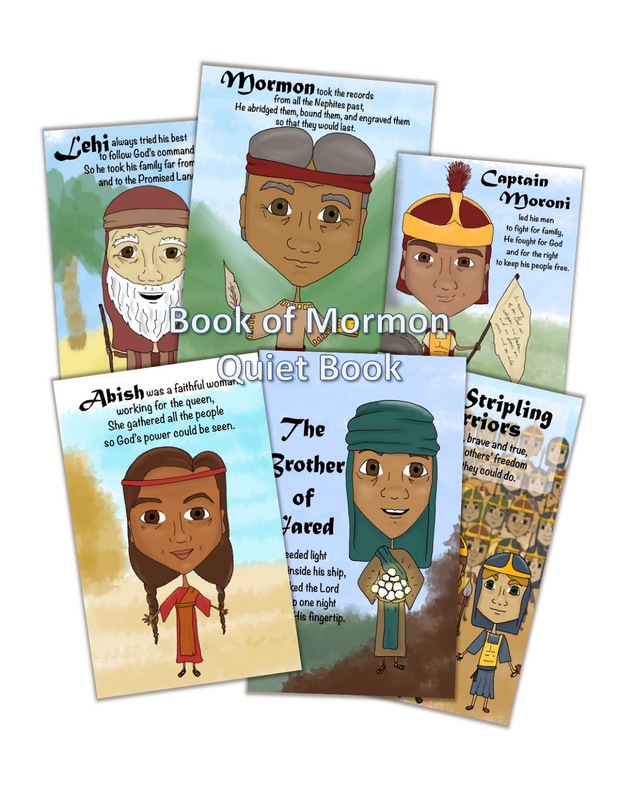 For my LDS quiet book debut, I put together a book about people from the Book of Mormon with concise poems to help remember their stories. Click here to download a zip full of the jpegs. I'm going to send mine to a photo center and put it in a small photo book for a nice finish.